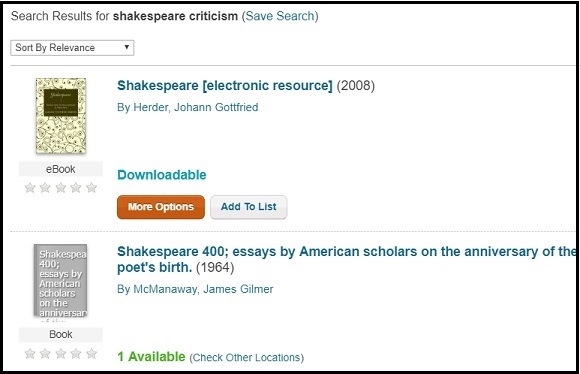 A page from Barton College's "Finding Books & Media" LibGuide about how to use the information on the left side of a catalog result page to filter the results to help find the desired materials. A page from Barton College's "Finding Books & Media" LibGuide about evaluating the results of your searches. A tutorial on how to get the most out of your Library Account. Select "Books & Films" from the library homepage to locate books, electronic books (e-books) and other media in the collection (including streaming videos, government documents, DVDs, audiobooks, and more).